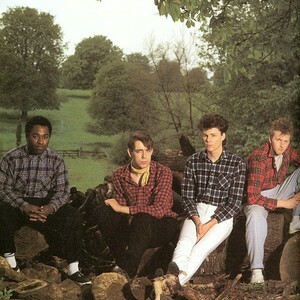 Big Country were a new wave/alternative rock band which formed in Dunfermline, Scotland in 1981. The band consisted of Stuart Adamson (vocals, guitar), Bruce Watson (guitar, vocals), Tony Butler (bass) and Mark Brzezicki (drums). Adamson was a former member of the Scottish punk band The Skids. The band was best known for using the device known as the "e-bow" to alter their guitars to sound like bagpipes. Despite having 15 Top 40 hits in the UK, the band has remained a one hit wonder in the US with their third single "In A Big Country". The band split in 2001 shortly after Adamson's suicide on December 16, 2001.